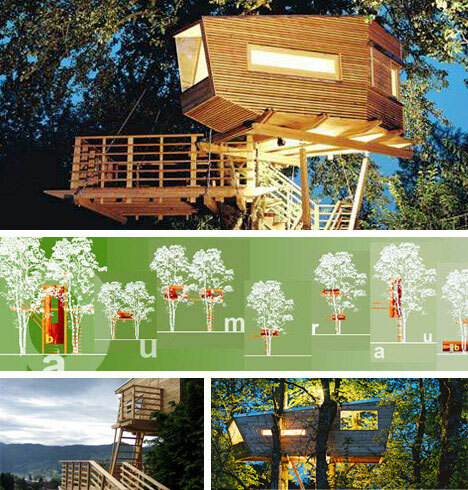 Baumraum treehouses blends classic notions of a simple wood structure in a tree with modernist angles, clean lines and other design elements. These both blend with and stand out from their natural environs and are customized to client wishes before being installed. The Baumraum group is both experimental and experienced, wish expertise in tree types, capabilities and environmental impact. 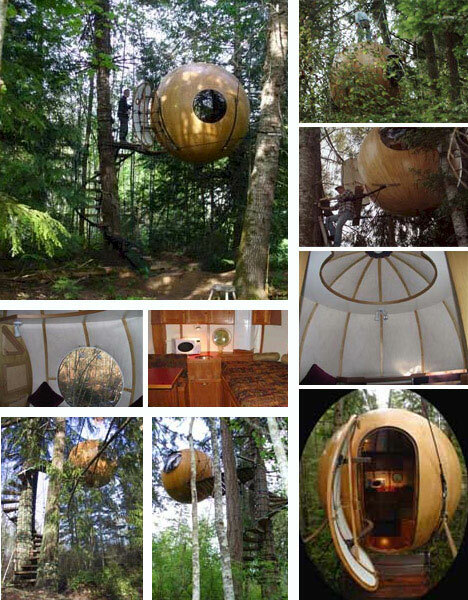 The mobile, durable and somehow fanciful Free Spirit Spheres can be hung from anything from trees to buildings and rock faces. Webbing and ropes literally and metaphorically anchor these spheres to their locations. Just four anchor points are needed to carry the entire weight of the spheres. Each sphere is waterproof and impact-resistant, composed of an internal laminated wood frame and clear fiberglass exterior. 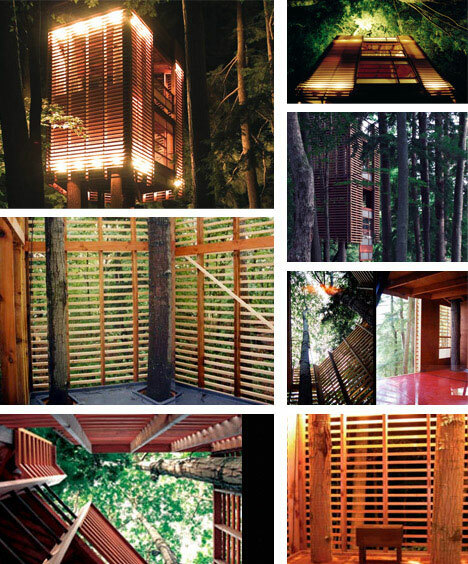 The 02 Sustainability Tree House defies many of the conventions one associates with a typical tree house. 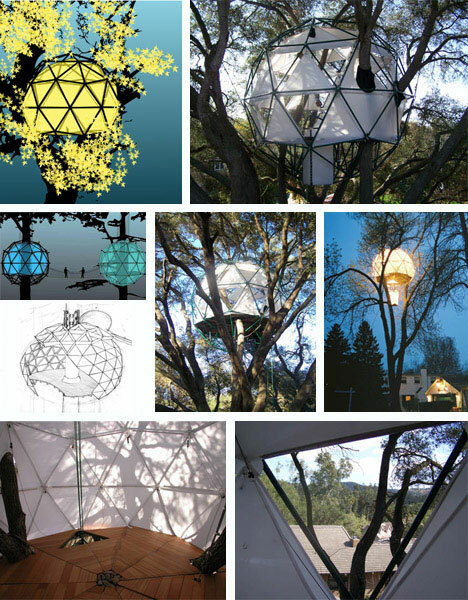 The paradigm of a square shack-like wooden structure is replaced with a light and spacious geodesic dome structure that requires very little (and eco-friendly) material and has minimal impact on trees in which it is placed (hanging from cables rather than bolted to trees). 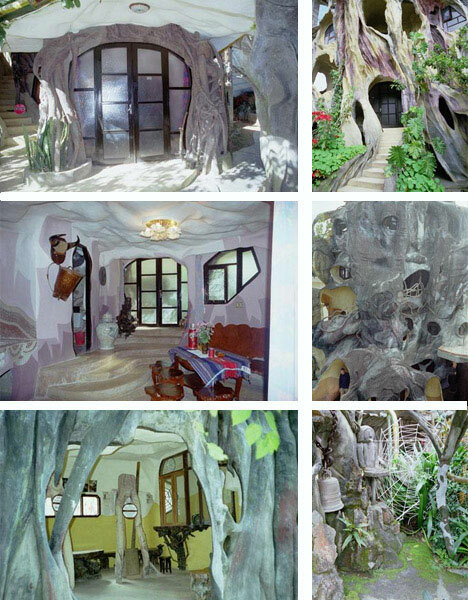 It is designed for residential, meditation and meeting functions. 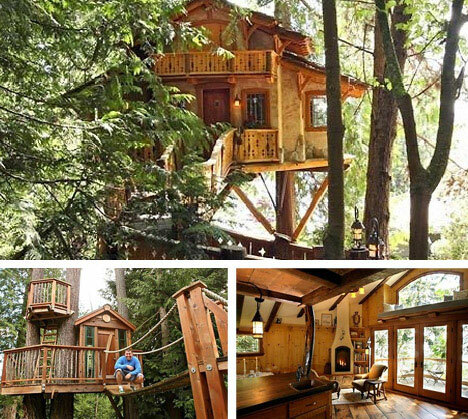 Of course, not all tree houses are avante garde examples of design and sustainability – some people live in far more traditional tree houses such as the tree dwellers shown in the photographs above. 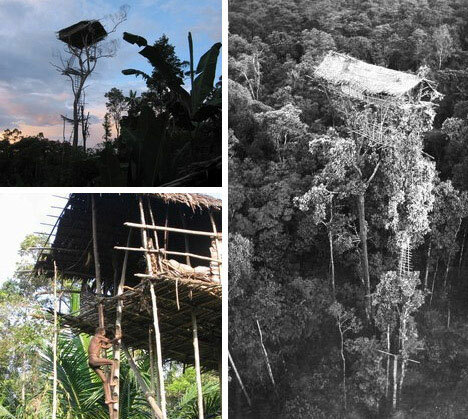 In the jungles of the Brazza River Basin in the Indonesian province of Papua the local tribes have slowly built their way up into the trees to escape pests and one another. Their residences now reach dizzying heights of over 100 feet. This amazing Vietnamese tree house structure is a “tree house” in an entirely unconventional sense of the phrase and draws tourists and guests from around the world. Of course not just anyone can get permission to build a house like this: it helps to be the daughter of the ex-president of the country. Tourists are even able to stay in the rooms overnight. It’s one thing to chain oneself to a tree in order to save it, but quite another to live in one! 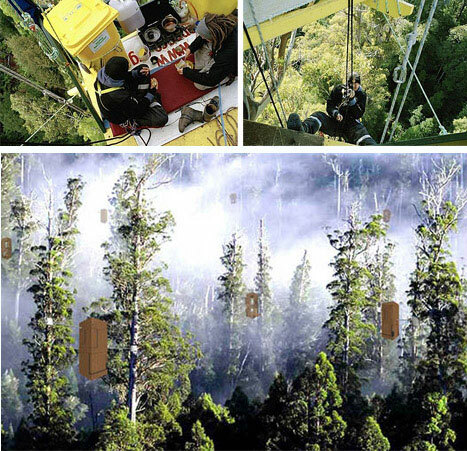 In order to save 400+ year old trees, a group of activists has been doing just that on impromptu suspended platforms that currently constitute the tallest “tree house” in the world (top images above). One clever designer has developed a series of conceptual strategies shown in the above images to take this approach to the next level. With just 13% of these old-growth trees left, these new structures would link from tree to tree providing habitats but also protecting the natural environment. 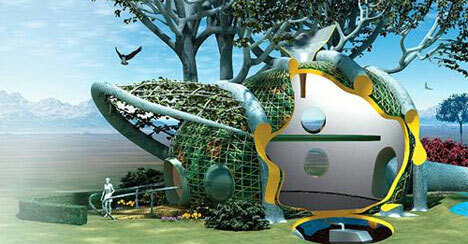 What if instead of building a tree house, you could grow it yourself? 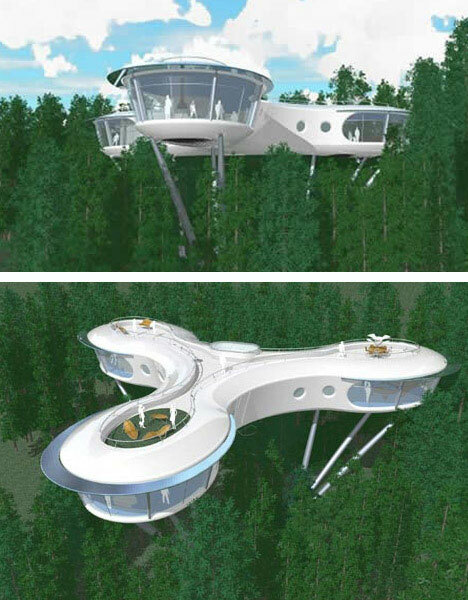 A combination of scaffolding and other systems could be used to direct the growth of these fascinating and creative concept tree houses over a period of years. Vines, roots and trees become organic architectural materials to create a flexible framework for these curious creations. Windows would be made of flexible soy membranes that would shift as the building grew. 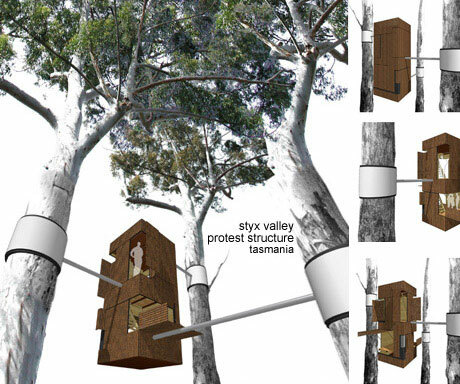 The Syberite tree house project blends modular design with low-impact living. Layouts are allowed to conform to the natural landscapes around them to take maximum advantage of views and natural light without disturbing the local environment. The thin foundational supports are designed to minimize impact on root systems and the ground surface. Rainwater collection, solar panels, wind collection and other sustainable systems are also integrated making the house mostly energy independent.